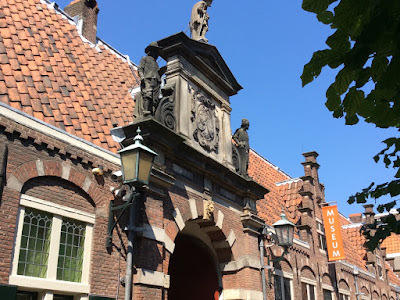 At present, Haarlem is a rather small town, about an hour's train ride from Amsterdam, that doesn't usually come up on the tourist itinerary. 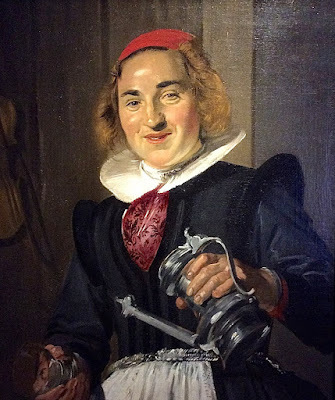 In the 1600s, when the trip was likely to require most of a day by horse-drawn vehicle, Haarlem was a powerful and prosperous city in its own right, and a center of art and culture. 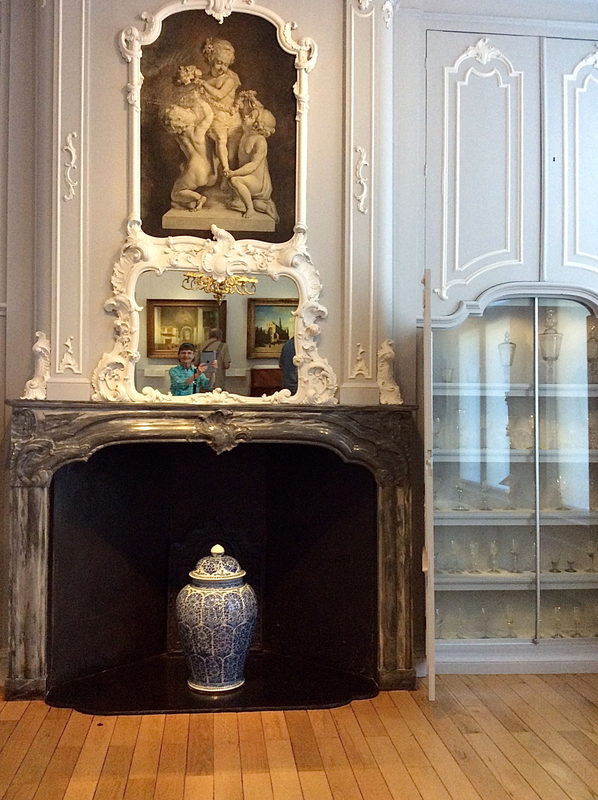 The Frans Hals Museum houses the city's collection of art from that time. It is located in a building that was originally built as an almshouse, a residential facility for old men in poverty. 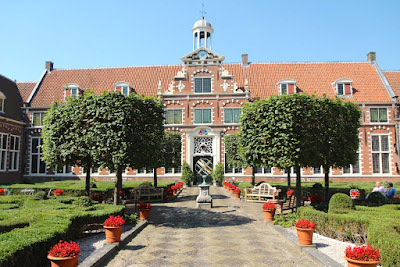 The museum surrounds a large, old-fashioned courtyard. It has some attractive features, but it is totally unsuitable for exhibiting art. Most of the rooms have dim and spotty artificial light, and the light from the many windows only serves to create glare. 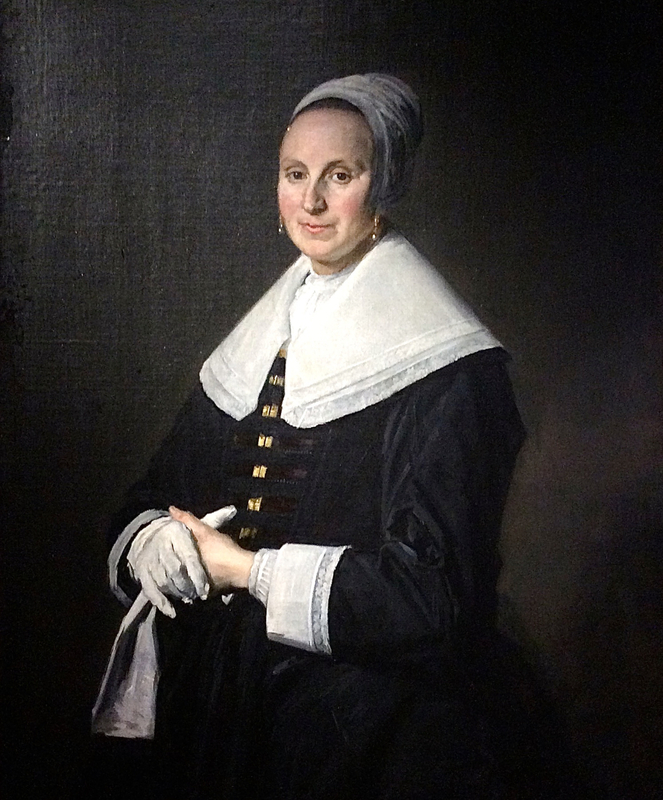 The museum has a couple examples of very early Dutch painting, by painters who were under the influence of the Italian Renaissance style. Heemskerck was a Haarlem-based painter with an Italian-influenced style. Goltzius was a German-born Dutch painter. His stye was strongly influenced by the art of Renaissance Italy. 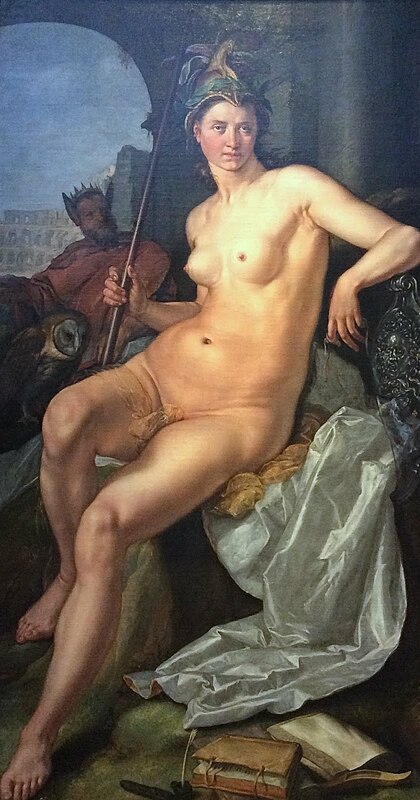 This painting combines myth with portraiture. 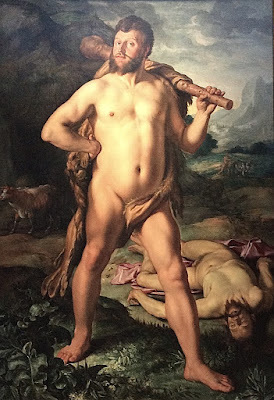 The client commissioned a larger-than-lifesize portrait of himself as Hercules. 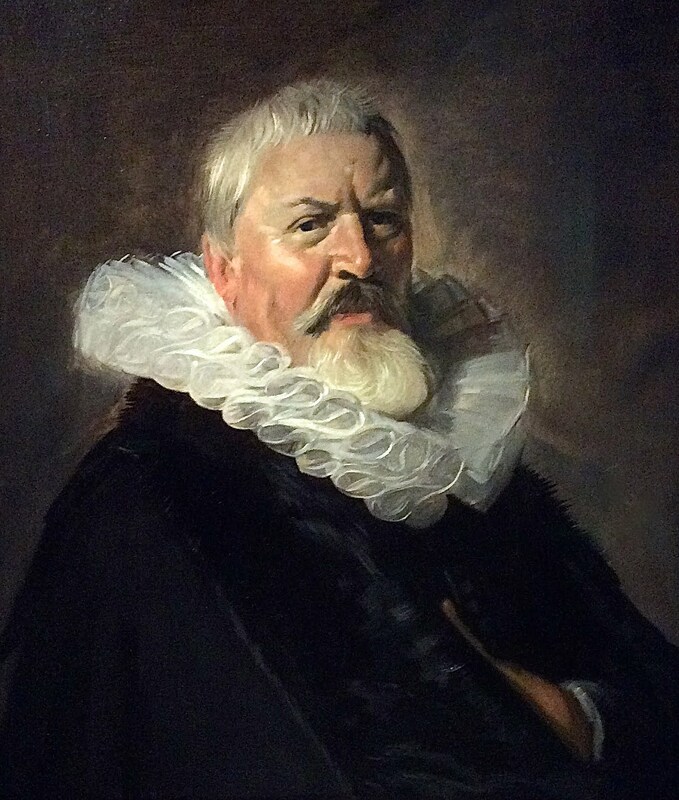 The first significant painter of the Dutch Golden Age was Frans Hals, who was based in Haarlem. The museum bearing his name doesn't have his best work; as with most important artists, his best paintings are at the big national and metropolitan museums of various countries. What this museum preserves is a trove of his paintings of the militia groups of Haarlem, plus many portraits. 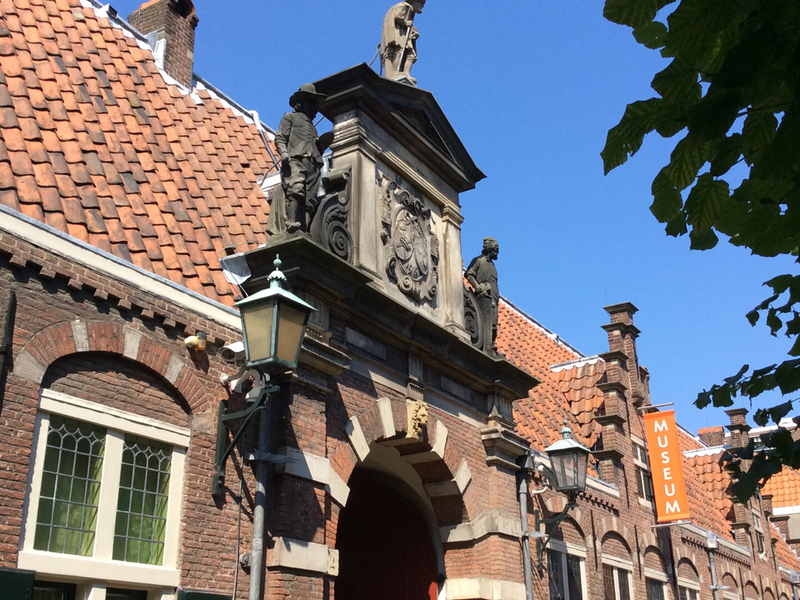 In the 1600s, each Dutch town had its own militia to guard the gates and patrol the streets at night. Terms in the militia generally lasted 3 years, and concluded with a banquet. 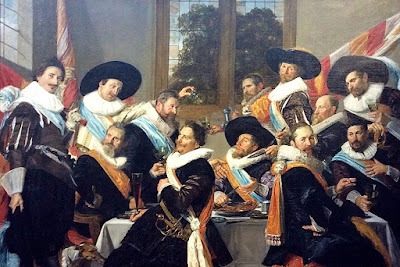 Every group wanted to have a painting of themselves to hang in the meeting hall, with each guardsman paying for his own likeness. 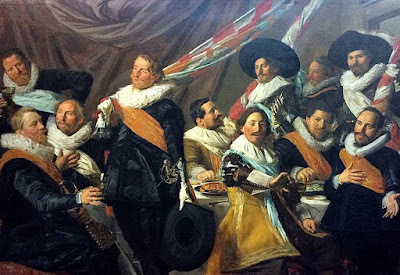 Many of these group portraits required a whole term to paint; I imagine each guardsman had to sit for the artist separately; he would sketch them, then fit their likeness into the composition as a whole. 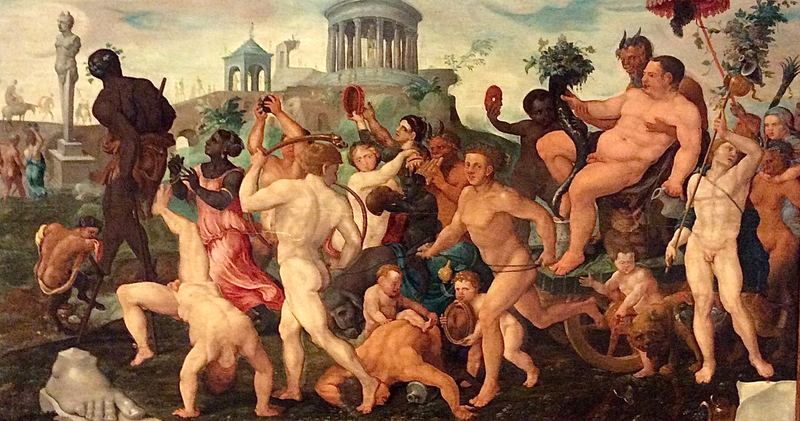 These paintings were typically ten feet wide, or more, and seven or eight feet high. 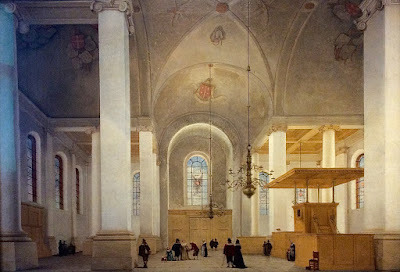 The exhibit hall had skylights that produced glare across the top half of the paintings. I'll include a few here just to give you an idea about this important genre. This is Frans Hals' earliest militia painting. The composition has interesting variety, but it lacks unity because half the guardsmen are looking toward the viewer, while half are looking elsewhere. Are they supposed to be caught in the midst of a discussion, some of them still talking? 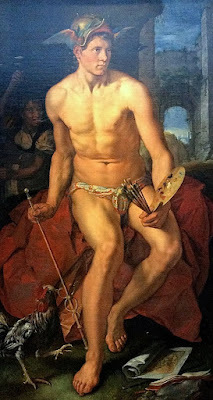 The next two paintings were created in the same three-year span. It was a challenge to make each one unique and interesting. 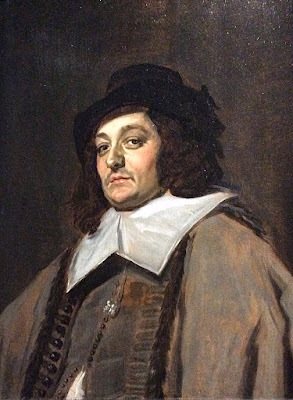 It wasn't just militia groups that wanted their portraits painted. Every civic group wanted to be memorialized. Here's a group of hospital administrators. 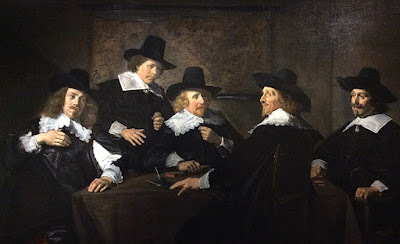 This painting is similar in composition to Rembrandt's The Syndics, at the Rijksmuseum, which was painted 20 years later. 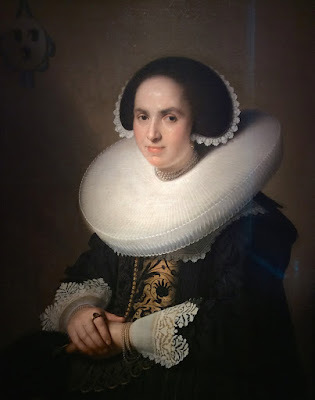 This suggests that Rembrandt borrowed this composition, but enhanced its unity and drama. 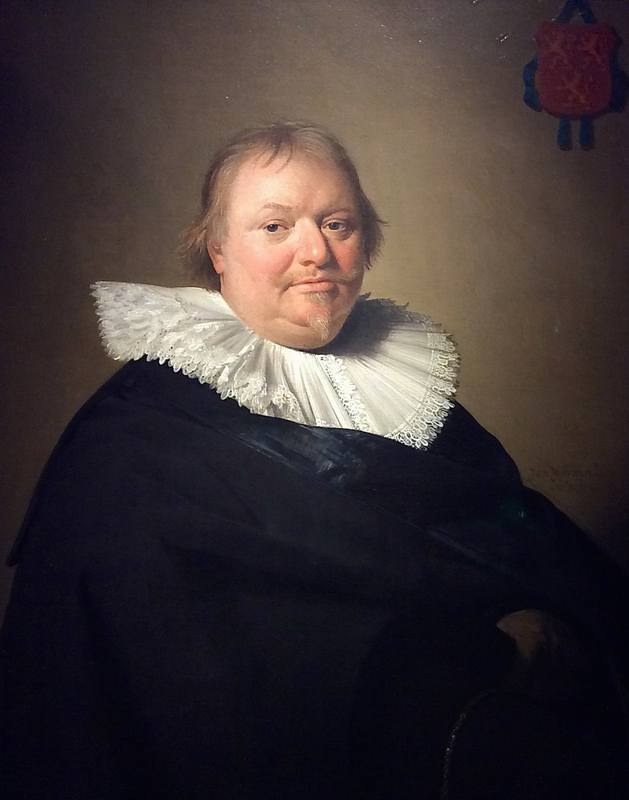 According to the museum placard, the portrait above was painted in one sitting. Instead of letting layers of color dry, he painted wet-on-wet. He had photographic ability to render objects. Pieter Saenredam was a Haarlem artist known for his depictions of church interiors. 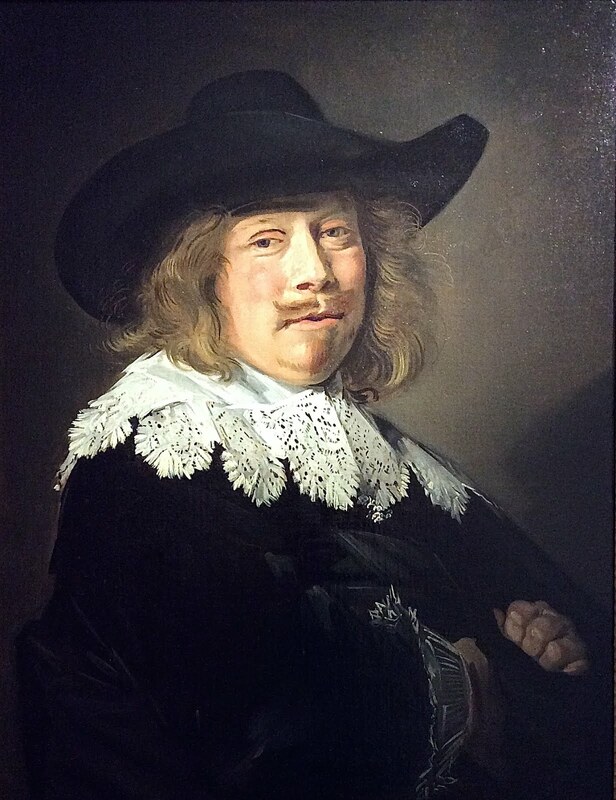 Hals' major rival in Haarlem was Johannes Verspronck. 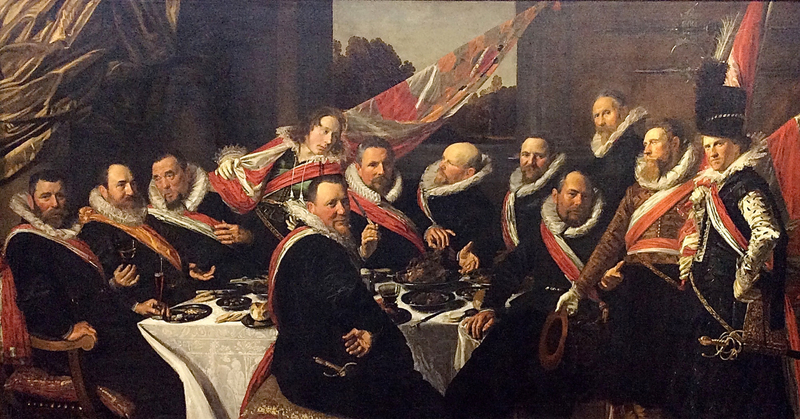 Like Hals, he filled commissions for both individual and group portraits. His style was very tight and refined. 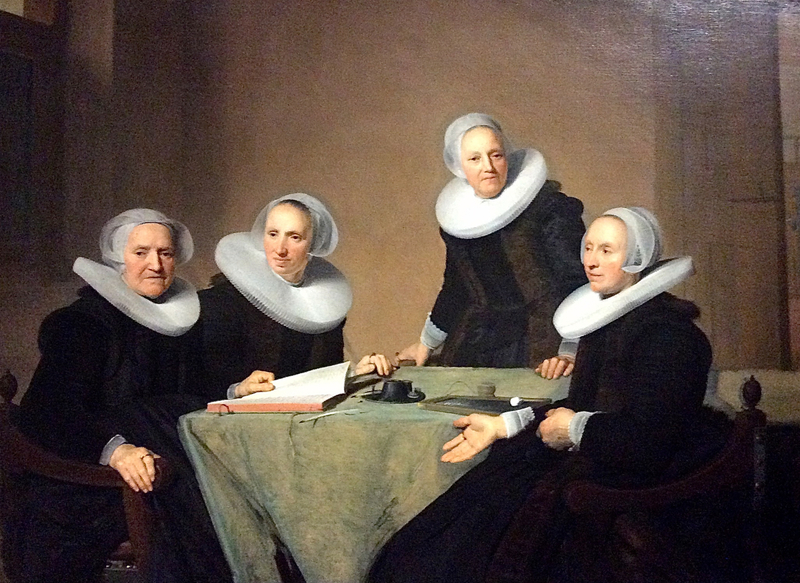 It is interesting to observe that wealthy women also had civic responsibilities in the 1600s, and they too wanted a group portrait. 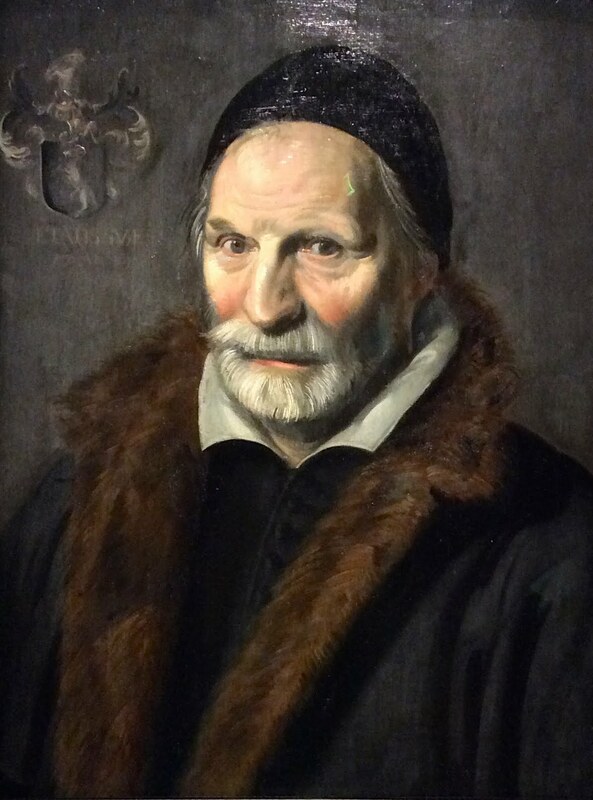 This one was painted in the same year as Hals' portrait of the Regents of St. Elisabeth's. The next two paintings depict a husband and wife. 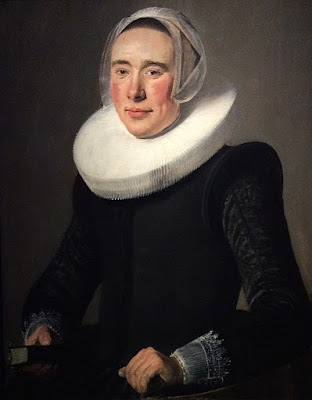 The market for portraits was so big in Haarlem, that a woman was able to succeed in this field. Judith Leyster's most famous works are portraits of merry drinkers, but she could be sober when appropriate. 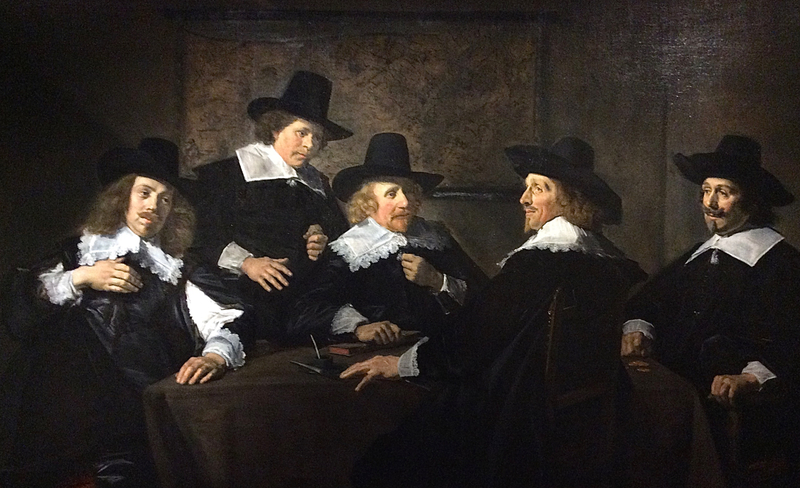 The collection of the Frans Hals Museum features Haarlem artists of the Golden Age of Dutch art. Its chief attraction are the militia paintings and portraits of Frans Hals. Hals' biggest competitor was Verspronck. Judith Leyster managed to achieve a successful career even though she was in direct competition with Hals and even emulated his style for some paintings. 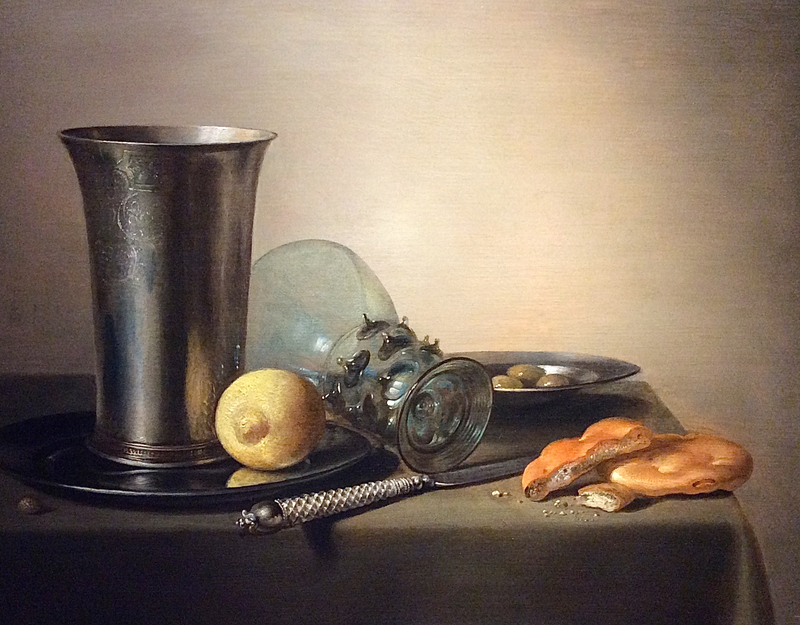 Still life and architectural renderings were also important genres during the Dutch Golden Age of the 1600s.